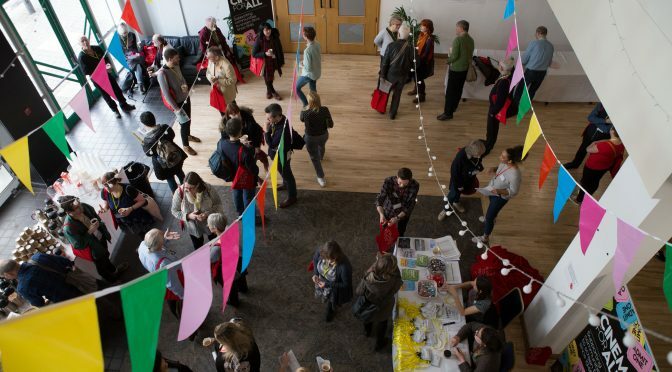 Join Cinema For All in Sheffield on 7-9 September for the UK’s biggest gathering of film societies, community cinemas, village screens and film clubs for a weekend-long celebration of volunteer-led cinema! This year’s theme is Yourself on Screen – we’ll be really delving into important issues such as representation, community outreach, diverse film programming as well as covering some of the core community cinema topics such as sustainability and marketing. A full programme will be available soon but expect an entire strand of pre-release films, an eye-opening key note, panel sessions led by community cinema organisers themselves, plus specialist workshops led by the Cinema For All team. The highlight of the weekend is the Film Society of the Year Awards and after party. Do not miss the biggest celebration of volunteer-led cinema. Average ticket price for the whole weekend is just £85 (Member rate) – all lunches, morning refreshments and evening nibbles are included! We are very grateful to our event supporters and sponsors for helping us subsidise our ticket price and offer you even more than ever before! Their support helps us reduce the average cost of a weekend pass by a massive 50%. We’re also offer discounted ticket for students and under 26s which is just £65. Cinema For All operates a Safe Spaces policy at all our events. The Community Cinema Conference and Film Society of the Year Awards are supported by Filmbankmedia with the support of the BFI, awarding funds from The National Lottery. More supporters TBC.